Doug Glanville Loves Hall & Oates, Just Ask John Oates! 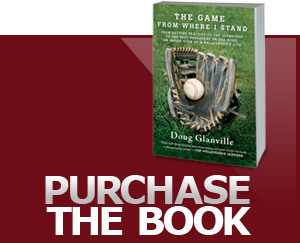 MLB veteran turned journalist DOUG GLANVILLE will make you the best damn Hall & Oates mix-tape ever. Seriously, just ask JOHN OATES, half of the legendary music group. We bring on Doug to talk about his insanely devoted passion for Hall & Oates, then get joined by Oates himself to talk about how Doug's love and knowledge of H&O led to a lasting friendship. Listen to the podcast HERE. Doug's interview begins at the 19:30 mark. Click here to learn more about having Doug speak at your next event! Check out Doug's blog, The Daddy Games. Click here to read more.